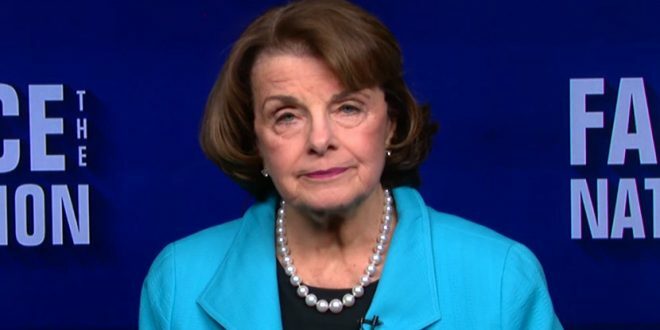 Man Charged For Threatening To Kill Dianne Feinstein - Joe.My.God. Authorities formally charged a 47-year-old Lancaster man with attempting to threaten the life of California Senator Dianne Feinstein. The Los Angeles County District Attorney’s Office said Craig Steven Shaver faces one felony count each of attempted criminal threats and possession of a firearm — a revolver — by a felon. The case also alleges Shaver was convicted in 1991 of grand theft. Arraignment was scheduled for Thursday in the Los Angeles County Superior Court, Antelope Valley Division. On Sept. 30, Shaver allegedly emailed a threat to the senator, prosecutors said. The contents and nature of the threat was not disclosed. If convicted on the charges, Shaver faces a possible maximum sentence of more than three years in state prison. Earlier this week Trump spawned “lock her up” chants when he mentioned Feinstein’s name at his rally in Iowa.